I’ve been listening to Dee Dee for 30 years. From her revivals of Ella Fitzgerald standards to her jazz version of Carmen (yes, Bizet’s, rearranged by Ivan Jullien at the request of Jean-Paul Boutellier) in her lovely French Song Book with Louis Winsberg. Thirty years, and not one missed. Cantankerous people criticize her for her dynamism. For me, that’s just what I like about Dee Dee. With her gift of the gab. 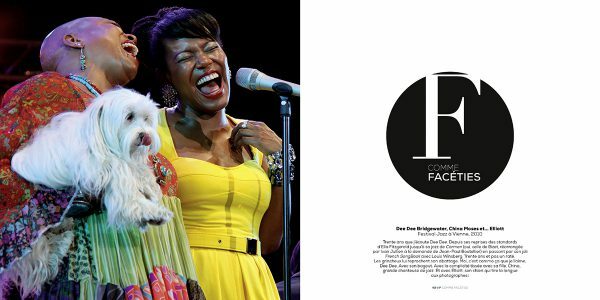 In cahoots with her daughter China, a great jazz singer. And with Elliott, her dog, sticking his tongue out at photographers !